Few cosmetic enhancements seem as desirable as longer lashes in today's beauty marketplace; from prescription serums to fiber mascaras, and false lashes to lash perming, the cosmetic industry is overrun with options for achieving gravity defying eyelashes. Unfortunately one of the leading reasons why so many products exist for getting longer lashes is that all of the available enhancement options come with a certain risk for ocular surface discomfort and dry eye signs and symptoms. Serums like Latisse can cause redness, irritation, and chronic meibomian gland dysfunction. The preservatives and chemicals in most mascaras are known ocular irritants. And the glue used to apply false eyelashes can cause severe allergic reactions, and increase the risk for styes. Newer to the market is lash perming, a procedure that focuses on enhancing the look of your own lashes. 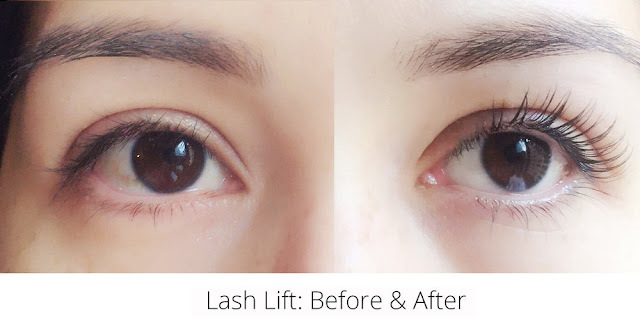 Dubbed Lash Lift, these procedures promise to be a more natural approach to bolder looking lashes for people who want to lay off daily eyelash curling and heavy mascara or false lashes. The process uses no long term glue holding in fake lashes, and can enhance lash appearance without the need for irritating lengthening serums or mascara. The person's own eyelashes instead are permed so that they curl dramatically upwards; one treatment can last 6-8 weeks. 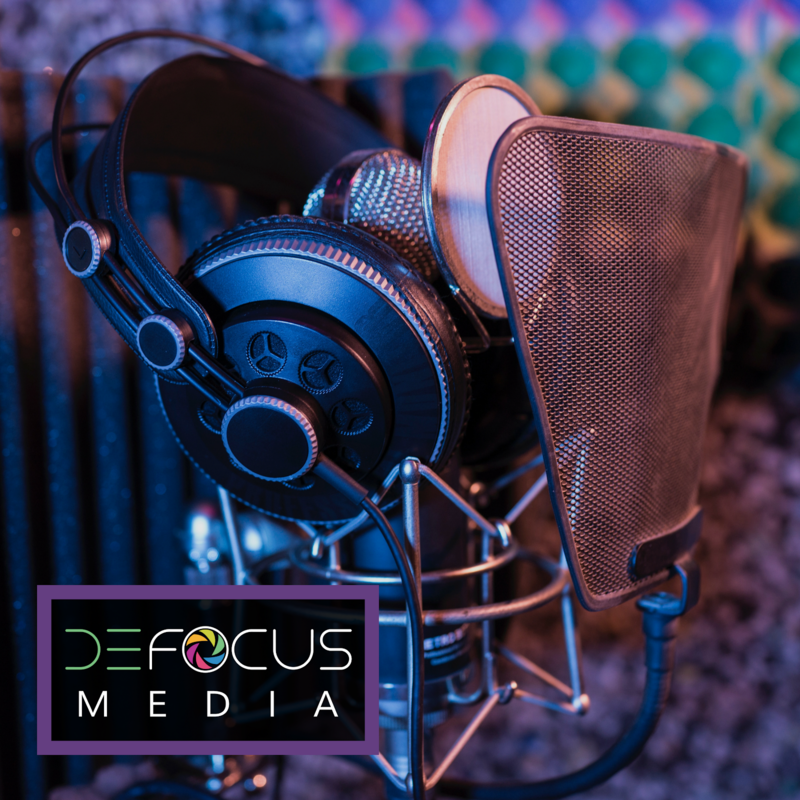 The beauty world has been abuzz with dramatic before and after images, with features on daytime TV, magazines, and a huge push from beauty bloggers sharing their results. But is Lash Lift really safer than other options for lash enhancements on the market? Like most cosmetic products and procedures, there are significant possible dangerous side effects to the delicate surface of the eye. 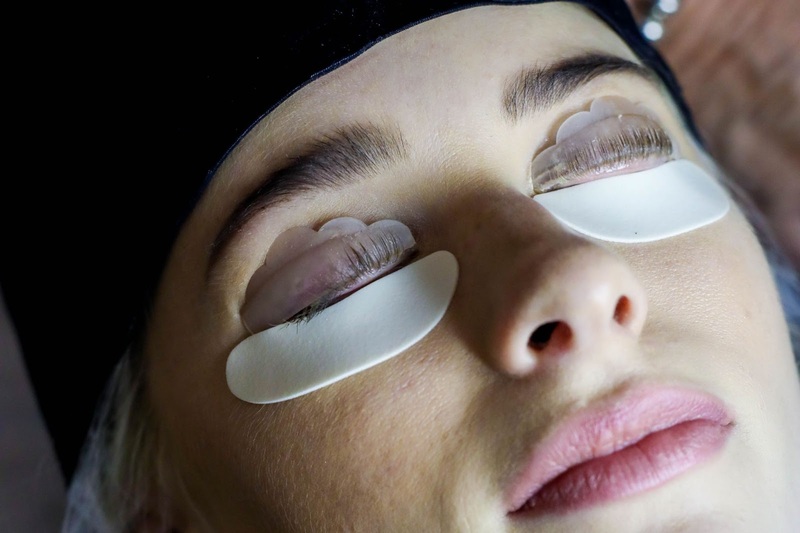 The process of an eyelash perm itself has several potential hazards, and would need a very careful and well trained aesthetician performing the procedure to prevent the risk of chemical injury to the eye. First, protective pads are glued to the top and bottom surface of the eyelid in an effort to shield the eyelid skin from unneccessary exposure to the perming chemicals. If the glue were to come in contact with the waterline or surface of the eye, it could cause major irritation. Some skin types may also be at risk of having an allergic reaction to the glue, so the skin should be tested before the procedure on the arm to rule this out. A silicone curler is then glued to the top eyelid, and the eyelashes are then curled up over the curler pad and glued to stay in place. Then a chemical perming solution is combed through the eyelashes to break down the keratin shaft and encourage the hair to bend to the shape of the curler. Different companies will use different perming solutions, but the main ingredient is ammonium. Because the beauty industry is not regulated in the same way as the medical industry, companies do not have to share what ingredients and what percentages of these ingredients are used in the procedure. We do know from multiple studies of preservative BAK (benzalkonium chloride) that even low amounts of ammonium is toxic to the cornea and conjunctiva (white of the eye). To avoid the potential risks, Lash Lift providers have extensive FAQs warning about the dangers of the process to the surface of the eye. You must remove contact lenses before the procedure, and those that have had ocular surgeries, including blepharoplasty (eyelid lifts) and LASIK must wait at minimum 6-12 months before having the procedure done. Aestheticians warn that Lash Lift should NOT be performed if a person has a history of eye allergies, eye infections, styes, sensitive eyes, watery eyes, or chronic dry eye. Are these warnings enough, however when only 8 million of the estimated 25-30 million Americans with chronic dry eye have actually been clinically diagnosed with the disease? How many women or men pursuing this procedure would have consulted with an eye doctor first to have the opportunity to even be diagnosed with dry eye syndrome? Because the cosmetic industry is not regulated under the FDA with the same guidelines as the medical industry, this is where the system really breaks down. Like all options available on the market for lash enhancement, lash perms come with inherent risks for the ocular surface. Some people might have severe reactions from lash growth serums but do great with lash perms like beauty blogger Kate of The Small Things Blog. Others might have recalcitrant dry eye side effects from Lash Lift procedures like Kelly from No Thanks to Cake. There is no completely safe way to manipulate the ocular surface with chemicals, whether they be from serums, perms, or glues. Knowing the risks and the dangers before the procedure, and getting routine eyecare to ensure that you aren't at risk before pursuing these cosmetic enhancements is the key! Had one of these recently and had extreme eye irritation and burning for days even though a patch test was done. Would not recommend this, wish I'd have read this page before deciding to have it done. My eyes burned during the procedure and afterwards at night I had such itchy eyes that I pulled some lashes out in my sleep. Further more, although I never had this problem before, my eyes became very dry and slightly painful. They still are. Please dn’t risk it!